I am very excited to announce the winners of the Giveaways held on my blog. I, thank you all, for participating and making it fun for me. Please keep supporting my blog. Congratulations to all the winners!!! 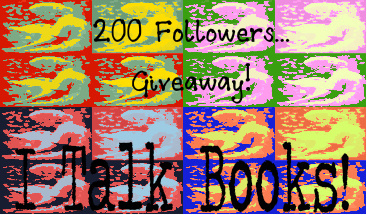 The winner of my 200 followers giveaway is Brooke Watts DelVecchio. She has been contacted and her book has been shipped. I also hosted a giveaway of “Blackbrooke” for Something wicked Comes blog hop. The event is still going on and there is a chance to win many awesome prizes. Click on the banner to see the entire schedule. Susan Haugland is the winner of the physical copy. Cassandra, Mia, Liesel, Dominique and Tash have won the ebooks. Don’t be sad if you didn’t win this time there will be many more giveaways in the future. The paperback of blackbrooke releases today. Make sure you buy a copy. YAY! Thanks so much! I can't wait to get my book!